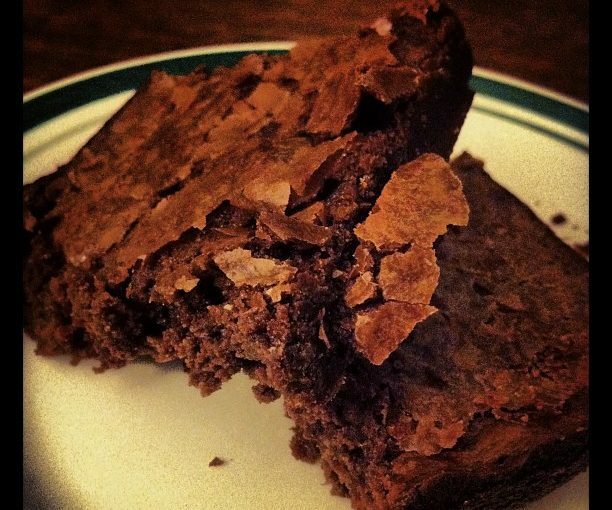 Really good brownies aren’t hard to make, so skip the Betty Crocker boxes and start from scratch. You want to get a broad pan or wok of water nearly boiling, and into this place a bowl of your chocolate and butter, stirring them as they melt into a gorgeous, silky, chocolate stream, like the one flowing through Willy Wonka’s factory. Nothing this gorgeous can come from a box. Once melted, allow the chocolate to cool for 10 minutes. You don’t want the heat to cook your eggs. When cool, mix in the sugar, vanilla, and eggs (1 at a time) and beat the mixture well.